A discolored roof can reduce the curb appeal of your house. The discoloration usually appears as black or brown streaks and is often mistaken for dirt, fungus, moss or tree droppings. If you find such stains on your roof then you should definitely not ignore them. 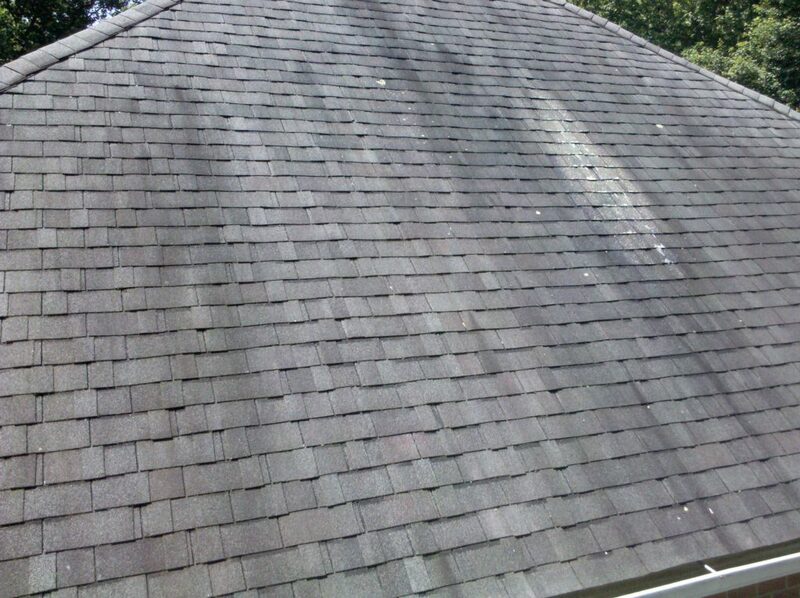 These stains on asphalt shingle roofs are due to algal feeding. The most common species blameworthy for this phenomenon is blue-green algae known as Gloeocapsa Magma. 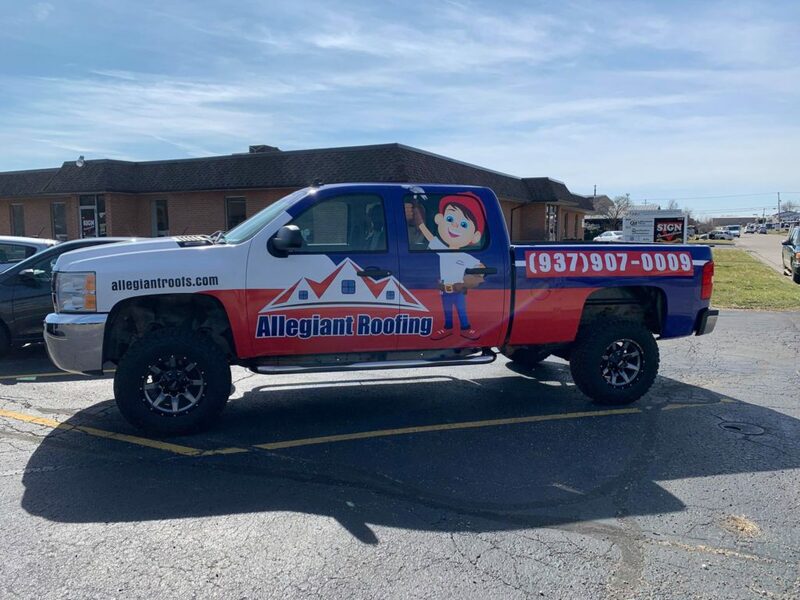 There are a lot of options for you when it comes to choosing a trusted roofing company Dayton OH, but no one is as proficient as Allegiant Roofing in providing long-term solutions within budget. Why do algae grow on the roof? Algae requires proper temperature and a moist environment to grow which are offered by the shingles on your roof. These creatures feed on the limestone filler present on asphalt shingles. The extent of algae discoloration varies from place to place with warm and humid regions being most susceptible as algae grow in moist environments. Do algae harm your roof? Algae grow quickly and spread by airborne spores to form a bigger colony. Basically, the presence of algae doesn’t pose a threat to the structure or strength of your roof. However, it makes your roof look filthy and reduces the ease of selling your house in the future if you wish to. It is indeed difficult to clean the algae off the roof but it is equally necessary to get the algal stains removed to restore the aesthetics of your roof. If you do something to get rid of algae stains promptly then it might not ruin your roofing material but even the slightest negligence can cause severe streaking. This is because algal bloom fosters the growth of mosses and mildews. You need a trusted roofing company Dayton OH who can ensure that your roof is well-maintained and aesthetically appealing. How can you efface algae streaks? Algae streaks can certainly be removed but can reappear again. The most efficacious method of cleaning the algae present on the roof surface is with a 50:50 mix of laundry strength liquid chlorine bleach and water. Spray this mixture evenly on the stains and allow the roof surface to absorb the solution for 15-20 minutes. 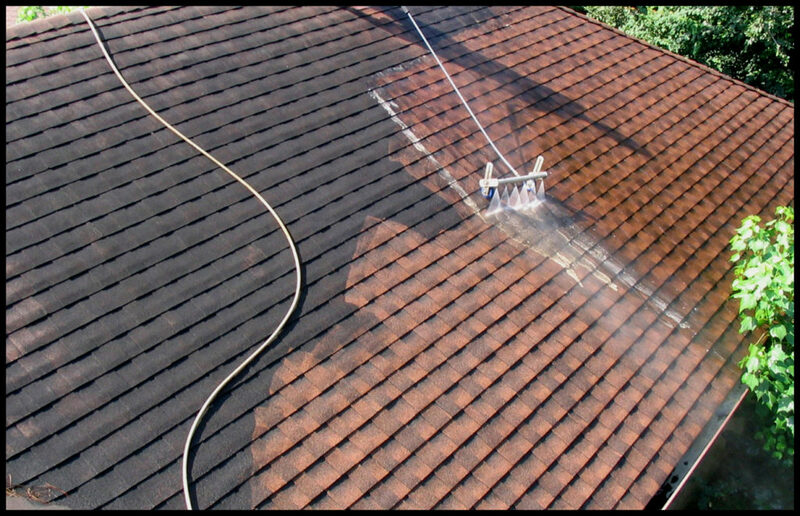 Subsequently, scrub the shingles gently using a scrub brush and rinse the roof properly with water to prevent long-term effects. This kills the algae and the streaks vanish soon. How to avert algae discoloration? You must take the following measures to ensure that algae discoloration is alleviated. A trusted roofing company Dayton OH can take care of the below with utmost professionalism. Make sure your gutters and downspouts are clean for proper drainage of water off the roof and avoiding moisture for algae to grow. Remove debris accumulated on the roof promptly using a leaf blower to avoid blockage of roof vents and gutters. Add zinc or copper strips to the roofs or install algae resistant asphalt shingles which consist of copper coated granules which restrain the growth of algae thereby maintaining your roof’s aesthetics for a long time. Trim the tree branches to avoid shade so that sunlight can reach your roof as it is pernicious for blue-green algae. Learn more about Allegiant Roofing, a trusted roofing company Dayton OH. Feel free to call us at (937) 907-0009 to schedule your free estimate as we are HAAG certified and we don’t want you to compromise on quality roofing.